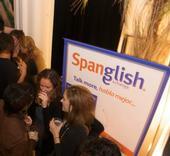 Is 'Spanglish' The Right Way to Reach the U.S. Hispanic B2B Market? Maybe Not. Many businesses are already aware of the need to market to the growing Hispanic population in the U.S. in their preferred language. But what is that preferred language? Is it Spanish, English, or a fusion of the two, also known as Spanglish? This is a very important question that each business must answer in order to reach the highly sought-after B2B market. The answer is more complicated than you think. Hispanic Millennials and Healthy Eating. Adult Hispanic Millennials love traditional Latin foods and are more likely than non-Hispanics to cook with fresh ingredients. They are also more likely to enjoy cooking and to use fresh ingredients than their non-Hispanic peers, this according to a report by Insight Tr3s, based on an analysis of Simmons data on traditional foods and cooking habits among adult Hispanic Millennials (ages 18 to 29).